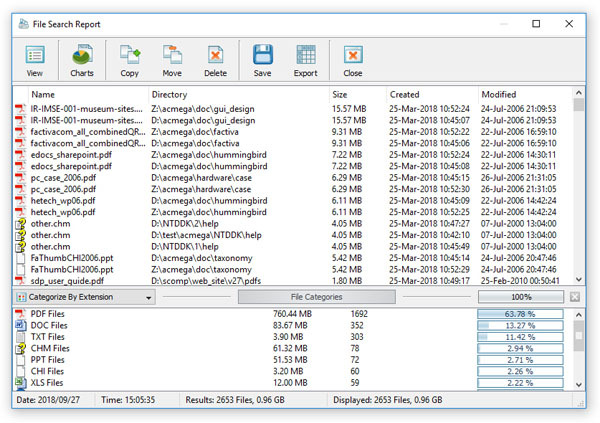 DupScout provides the ability to search files in duplicate files results by the file name, extension, full path, file category, file size, file attributes, creation, last modification and last access dates. In order to start a file search operation, search duplicate files in one or more disks or directories and press the 'Search' button located on the main toolbar. By default, DupScout will search duplicate files matching the user-specified rules in all duplicate file sets in the current duplicate files report. 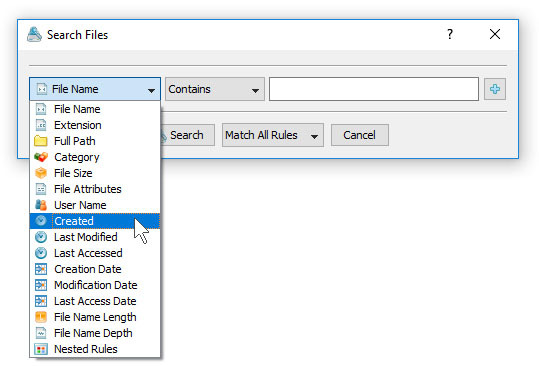 Once the file search operation is completed, DupScout will display the search results dialog showing all duplicate files matching the rules.